According to the Jewish Agency figures, nearly 8,000 Olim came from France as a result of rise in anti-Semitism. The Jewish Agency revealed on Thursday that the number of Jews who made Aliyah to Israel from Western Europe has reached an all-time high. According to the figures, 9,880 Western European Jews immigrated to Israel in 2015 – the highest number ever recorded. The agency believes these high numbers are an outcome of increased anti-Semitic attacks. The vast majority of Western European Olim, nearly 8,000, came from France where a rise in anti-Semitism has reduced the Jewish population’s sense of security. Just this week, a machete-wielding teen attacked a Jewish teacher in the town of Marseille, sparking a debate among France's Jewish community over whether men and boys should stop wearing a kippah. 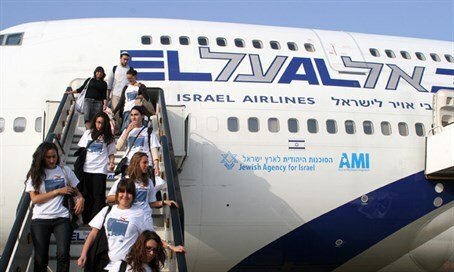 Moreover, the Jewish Agency revealed that the nearly 800 Jews who made Aliyah from the United Kingdom in 2015 rose by almost 25% compared to the previous year, making it the third highest Aliyah figure in a decade. “At the same time,” added Sharansky, “the fact that Israel has become the number one destination for European Jews seeking to build a better future elsewhere is a tribute to the appeal of life in Israel and the values the Jewish state represents."